The Hillcroft Medical Clinic in affluent Sugar Land, Texas, has three stories and 40,531 square feet of space. It is near two hospitals and a surgical hospital. 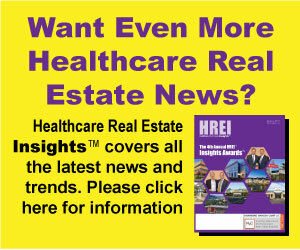 J. Parker, Andrew R. Larwood, Allen C.
Not all medical office building (MOB) sale offerings are massive portfolios that only the largest, high-capitalized investors are able to buy.